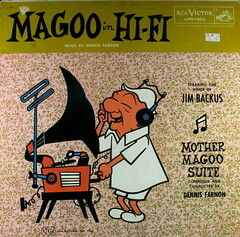 How many times have you watched an online video and struggled to hear the voice over when it’s accompanied by music? When you’re listening and watching, you may just put it down to the media you are using to play it, or even your hearing! I know, I’ve been there and have sometimes thought one or both of those things. As a web video narrator of numerous corporate videos, this has become a bug bear of mine. The reason for this apparent loudness war is invariably because the music levels have been set too high. So, if the video was distracting because of this, then the result could be that potential clients or customers really couldn’t hear the message and, worse still, quickly moved onto another website. The client or customer may not even have been consciously aware as to what made them move on or not pay attention. There will be some people who may be less affected by competing sounds, but certainly those who are primarily auditory would find a badly mixed video extremely distracting. So what, you say? Well, given that it is generally accepted that 30% of the population are auditory, that’s almost a third who would find this particularly annoying and potentially move on from your video. That’s a pretty big number of potential customers you or your clients may be losing, aside from the rest who may also move on too. You see, with video, what you’ve got are 3 elements going on at once, if you’re using voice over in the mix: the visual imagery in front of you, the voice over narration, and the ‘background’ music. All three need to be working in synergy to make the video effective. If the 2 audio elements are competing with each other, you’ve got a problem. The music needs to complement the narration and/or the visual, rather than take over. It is meant as subtle ‘background’, not foreground. A little production and compression techniques which your voice over or production company can add to the finished narration, can better cut through the music, but they can only do so much if the volume of the music is set too high in the first place. Choosing the right music at the outset can help with this, ideally something subtle, but if you’re set on using a heavier piece of music it’s even more important to lower the music levels, so that it very much sits underneath the voice over. As an example, this kind of problem can spoil even some of the biggest events. Last year, I went to Wembley to see Robbie Williams. The excitement in the stadium was huge. However, once the music began, poor Robbie could barely be heard amongst the music, as the music levels were way too loud. At first I thought it was just me, as I’m auditory and noise sensitive. However, the people I was with felt the same and, certainly on our side of the stadium what I noticed was that the audience becoming visibly less engaged and restless. There was an unusually high amount of to-ing and fro-ing from the stadium into the food and bar areas and, although they were enjoying the atmosphere, I noticed that fans weren’t as responsive to the songs as they might have been. It wasn’t Robbie’s fault, but whoever was mixing the sound. There’s often a tendency to believe that loud is good. It isn’t, as what we came to hear was Robbie. I’ll say it again – ‘hear‘ Robbie, not be drowned out by the music. It’s pointless. Bottom line is…keep the music levels down and let the narration shine through! Do you underestimate the impact of your audio? You have just seconds to make an impact. If you are looking to narrate a video, did you know that ‘80% of the quality of your video is in the audio?’ So says Dr David ‘Dr Doodle’ Kyte, Founder of Doodle Ads, who made me aware of this during the making of my new voice over promotional video, below. If you are looking to maximise that impact, you need the help of a good voice over artist. Imagine what the film Jaws would be like without those two famous hauntingly knife-edged musical notes we hear at Jaws heads menacingly towards his next victim? Or watching an explosion on the news, without the sound. When you hear the full blast of the impact, that’s when it hits you emotionally. Or when you see a person on film in pain without the sound. If you re-play it with the sound, how much more of an emotive impact does the video or film have? Primarily marketeers, who also happen to make great whiteboard animated videos with voice over, Doodle Ads understand how important audio is when making videos for their clients. Recording audio is not as easy as people at first think. Not only do you have to deliver the script at the right pace, speak it clearly and flawlessly with the right energy, there is all that technical stuff to sort out too! Finding good, experienced female voice over artists is a challenge; watch and listen to my video, and to the samples on my website. If you’re looking for a warm, friendly, clear female voice over and you like the tone and personality of my voice; pick up the phone email me, and let’s put some life into your audio. It’s magic isn’t it, creative stuff? There’s often a perception that anything creative is sprinkled with fairy dust and magically appears with minimal effort! As a voice over, I often get asked to work with video production companies to provide the narration for corporate video. So, I wanted to find out about what’s involved in making that magic video appear. I asked Mark Pirrie of Mugshot Media to give me a breakdown of the step-by-step process. I wonder if a voice over is in this list somewhere…? What is the purpose and objectives for the video? Agree style, number of film days, cameras, locations, etc. Hire/ cast presenters/ actors / voice over – yay! Actual storyboard and shot list creation resulting from pre-production planning. Upload all film to the video server platform. That’s some list! I hope you spotted the bit whre the voice over comes in stage right?! Of course, not all videos incorporate voice over narration, but that’s another blog post! 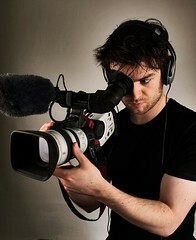 Some video companies, such as Mugshot Media, provide a range of options reflected in the price, to suit budget and needs. As a whole new wave of potential clients look to feature online video in their marketing mix, hopefully this gives some insight as to what’s involved in the actual process. It may appear like magic at the end but, for clients who want a professional job, a considerable amount of time and work has gone into it! This article is designed for business owners who are looking to use online or corporate video as part of their online marketing campaign or any corporate video strategy, but is also a useful tool for anyone who wishes to improve their voice and the way they sound! 2. It’s not what you say, it’s how you say it! 3. If you think that you’re stuck with the way you speak, you’re wrong! Most people do not know how to utilise their voices to their fullest extent and think that they are stuck with what they have; when in fact, with a little help, the majority can improve considerably. The tools are there, you just need to bring them out and dust them off, as some of them may never have been used before! In the same way (I’m also a singer), so many people tell me that they can’t sing. However, whilst this is true for a minority, the rest have just been conditioned to believe that they can’t, which can be attributed to background, upbringing, and geographical origin, as well as confidence. These were my findings when I wrote my final degree dissertation on the voice years ago. I need to go find it and when I do I will add more reference points to this article…it must have been OK, as I graduated with my 2:1 honours degree! What I come across most of all is where people speak from their throat rather than their diaphragm. This tends to result in a rather thin sound, which is unstable as it’s not supported from what I call the ‘centre’, ‘root’ or diaphragm. This, in turn, can make people sound as if they lack confidence, or straining their voices. So, how do you obtain that ‘centred’ sound? So, we’re going to learn to centre your voice. Remember, this sound should come from the very deepest part of you, and you can get to it by utilising your diaphragm. Stand up straight, feet slightly apart, hands by your sides. Make sure your feet are firmly on the ground. Take a deep breath in and use an exclamation that you tend to use when you’re angry – it’s usually something like ‘Huh!’. Using anger is brilliant, as it is a base emotion and instinctively we are better able to produce a more gutteral sound. Notice that, when you do this correctly, you can feel your diaphragm working, and that ‘Huh!’ resonating through your body right from your feet upwards. If you’re feeling that resonance, you’ve got it – well done! This effect is what we call using a ‘centred’ voice. Your vocal tone will sound more definite, meaningful, confident and you should find that people are more likely to take you seriously when you’re speaking. Again, it’s not the content of what you are saying, it’s how you sound which will determine the message you are trying to convey. 5. Listen to the sound of your own voice! Does your voice modulate nicely? Or does it sound more monotone /monotonous? – in other words, the same tone all the way through, which you dont want! Sometimes, partcicularly when we are nervous and presenting something, our voices can tend to become even more monotone than usual, so it’s even more important to think about varying the tone of your voice. If you’ve started to use your diaphragm and are centering your voice, in other words, you’ve now got more control over it, it should make it easier to moderate your tone of voice. It may well be that you already have a great authoritative speaking voice and, if so, skip this one! If not, try listening to people that you admire for being able to get their messages across well and who exude confidence. If you think that you fall into a type of voice that currently lacks authority, I would suggest that you try to deepen it. Does your voice have enough depth to it? Is it deep enough? We tend to take notice of people more when they use a deeper, more resonant voice than those who have a lighter, quieter, or whiney type of voice. Those with those deeper, more resonant vocal tones are those that you are more likely to listen to and believe. This is because they have learnt to centre their voice. They may have been lucky and been born with it, but more likely it stems from confidence, background, geographical location and/or upbringing. This one could also be part of 7. Authoritative, as those speakers we tend to listen to and take notice of as being authoritative, usually pace their phrasing really well, and speak slightly more slowly than others. The same is also true of those who physically take the space they are occupying, and their bodies move in a more measured, slow, regal, style. 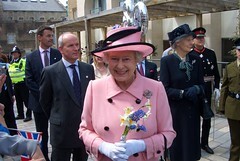 You don’t see the Queen of England scurrying about her duties do you?! Actually, her voice pitch is slightly higher, but because both her speaking and bodily movements and posture are slow and measured, she gets away with it – plus her status speaks for itself! 9. Not convinced? Try this experiment – it works! If you’re preparing to voice your video but have in the past had concerns about being taken seriously when you present yourself, try to implement the above suggestions. I know that, if you’re not used to producing a richer, deeper sound, you’ll probably feel a bit silly at first. The other thing is, if you are in this category, you may be thinking ‘I’m not sure that going through all this effort is really going to make a difference’, then try this experiment – it works every time. Call someone who doesn’t know you and make a request for something, or to persuade them to take a particular action. I don’t mean make a weird phone call to a stranger, but it could be your utility supplier to check on a bill payment that you have in your in-tray, or any other company for example that you may have a query with but haven’t yet called. 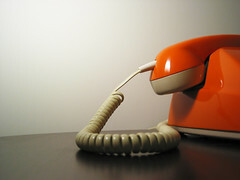 When you get on the phone, speak using your deeper, richer, centred voice at all times. If you do this correctly, and listen to the response of the person at the other end of the phone, I think that you will find you will a) get your message across better and b) you will get better results from your request or query – and faster. Don’t forget to modulate the tone of your voice to keep it friendly, warm and polite, as you’re even less likely to achieve your aim! Notice how both a) and b) are exactly what you want to achieve in your online video? If you’d like to read more articles like this, and be kept up to date with my work, then please sign up to receive my latest Blog posts on the sidebar!